You are hard on your feet, so it's time to do them a favor and give them some relief. The Amopé Pedi Perfect Extra Rich Skin Recovery Foot Cream is your answer to effortlessly nourish and moisturize your cracked heels and/or cracked feet. 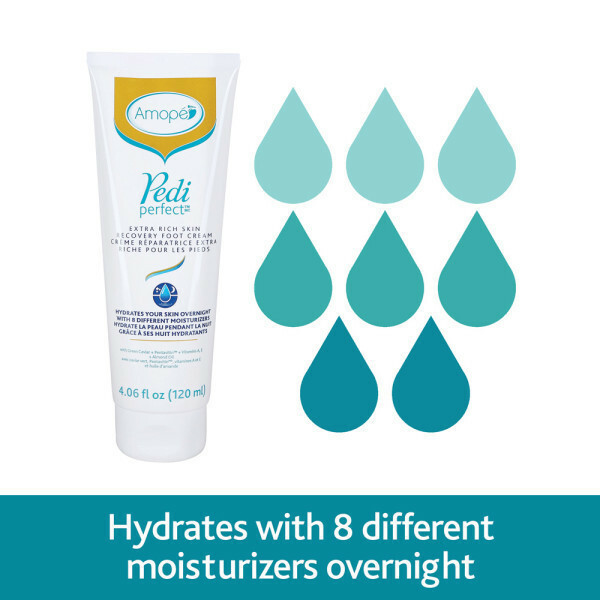 It works overnight, while you sleep, penetrating your dry skin with 8 different moisturizers giving your feet the hydration is needs. 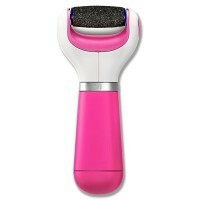 The rich foot cream contains Vitamin A, Vitamin E, Green Caviar, Pentavitin, and Almond Oil. 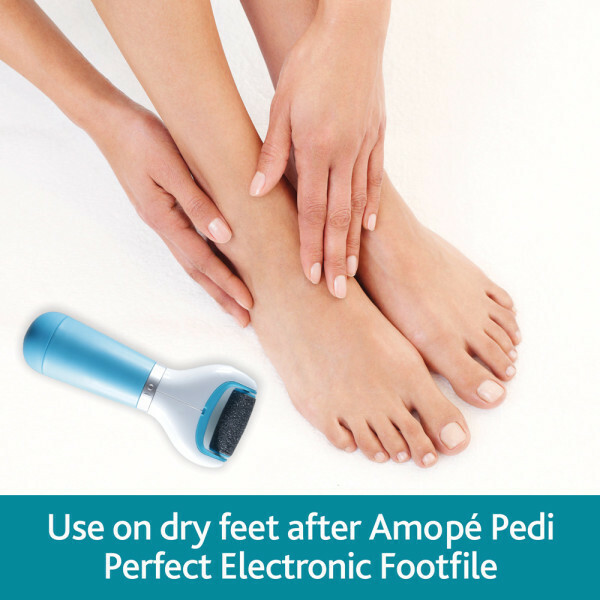 For best results, apply the foot cream liberally to dry feet after using the Amope Electronic Foot File or our other amazing products in the Amope Foot Care Line. A foot care tip is to apply the recovery cream on your dry feet and put on cotton socks to lock in moisture while you sleep. Water (Eau), Dicaprylyl Ether, Helianthus Annuus (Sunflower) Seed Oil, Glycerin, Isostearyl Isostearate, Polyglyceryl-2 Dipolyhydroxystearate, Polyglyceryl-3 Diisostearate, Paraffin, Prunus Amygdalus Dulcis (Sweet Almond) Oil, Zinc Stearate, Microcrystalline Wax (Cire Microcrystalline), Phenoxyethanol, Jojoba Esters, Magnesium Sulfate, Saccharide Isomerate, Fragrance (Parfum), Tocopheryl Acetate, Benzoic Acid, Dehydroacetic Acid, Linoleic Acid, Sea Salt (Sel Marin), Retinyl Palmitate, Acacia Decurrens Flower Wax, Polyglycerin-3, Caprylic/Capric Triglyceride, Oleic Acid, Palmitic Acid, Citric Acid, Sodium Citrate, Stearic Acid, Tocopherol, Caulerpa Lentillifera Extract, Linoleic Acid, Potassium Sorbate, Sodium Benzoate, BHT. Best foot cream on market! This is the most effective foot cream. Amope really should market this as a “foot care & rough area” cream. Perfect for hands in cold climates in winter. It’s thicker than a lotion but not dense like a petroleum based cream. It adheres & absorbs into the problem areas. Also with a pleasant faint scent. Nothing overpowering, Love it!